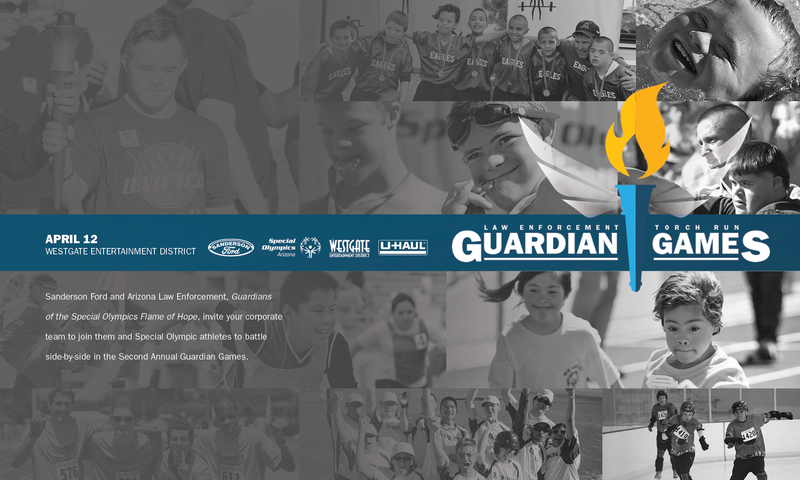 Sanderson Ford has taken on another community endeavor to raise funding for Special Olympics Arizona. The Law Enforcement Torch Run Guardian Games will be held on Friday, April 12th at Westgate Entertainment District. Unified teams of 4 will compete in 8 events located throughout Westgate. Each team will consist of 1 Special Olympics Athlete, 2 sponsor participants, and 1 Law Enforcement Officer. The concept of the games is to develop a closer relationship between Special Olympics athletes, law enforcement and Arizona businesses through a fun and unique format.